The quality you can rely on. Save up to 50% with Original XL Cartridges. Original high-capacity ink cartridge of high-quality colour ink for HP Deskjet D4260, Officejet J5780, Photosmart C4280. Prints up to 580 pages at 5% coverage. For shipping to other EU countries visit this page HP 351XL High Yield Tri-color Original Ink Cartridge CB338EE. Chcete doručit zboží do Česka? 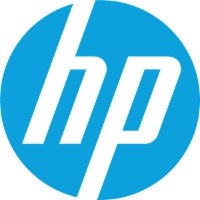 Prohlédněte si HP CB338EE č. 351XL barevná. Chcete doručiť tovar na Slovensko? Prezrite si HP CB338EE č. 351XL. Magyarországra történő kiszállításért tekintse meg ezt a termékoldalt: HP 351XL (CB338EE).